Having strong credit is a well-known must on the personal side of one’s financial life. Many, though, fail to recognize its importance in business. Licensed contractors who work on projects large and small must have access to surety bonding in order to comply with local and state laws. A surety bond requires a solid track record of financial stability and responsibility, given bonds are extended to contractors as a form of credit. When your credit is less than ideal, it may seem as though getting an affordable surety bond is not possible. Fortunately, there are ways to get a surety bond even if you have had financial missteps in the past. The following steps lay the groundwork for getting bonded despite having bad credit for those working in the construction industry. The first step toward getting a surety bond even if credit is an issue is to know where you stand, financially speaking. This begins with a check of your credit report from the three credit reporting agencies – Equifax, Experian, and TransUnion. Each credit bureau compiles information about your financial past and present from creditors, including debts owed, access to credit lines, and use of credit over time. When creditors are not paid on time, if bankruptcy is filed, or if there are court judgments or tax liens against you, your credit report highlights these financial mistakes and negative details. While you may think avoiding a review of your credit is the best course of action, that could not be further from the truth. It is essential to know where you stand in terms of your credit report and score. You can access your credit reports for no cost, once per year, through this site. Having these details allows you to move on to the next step in getting bonded – correcting mistakes. Once you have an idea of what may be bringing your credit score down, it is important to work toward correcting what you can. There are some instances where creditors and credit bureaus make mistakes, inputting information that is neither accurate nor relevant. When this is the case, you can take steps toward disputing erroneous details that may be dragging your credit down. Once errors are correcting, you can put in place the behaviors and activities to improve your credit over time. Ensuring all your debts are paid on time and in full each month helps bring your credit back to a healthy level, as does keeping total credit use to no more than 30% of your available credit. Working toward resolving issues with collection agencies is also beneficial. Improving credit takes time, but small actions have a significant impact over time. After you have cleaned up your credit, working with the right surety agency is key. Not all surety agencies offering surety bonds provide the same access to those who have less than ideal credit histories. Make sure the surety agency selected understands that bad credit happens and that there are several options for bad credit bonds available through their network. Also, work with a surety agency that is willing to look at other factors, including your business financial statements, your claims history against other bonds, and your track record with successful projects. These aspects of your contractor business can help bring down the cost of your surety bond, even if you have bad credit. Another key to getting bonded with bad credit is to have a clear picture of your business operations from a financial perspective. Maintaining organized financial records, including profit and loss statements, income statements, balance sheets, and cash flow all help toward improving your chances of getting an affordable surety bond. Having a business plan as a new construction contractor may also be helpful, as it shows the surety agency you are serious about operating a successful business. If you aren’t proficient in organizing your business financial records or you don’t have the time, think about your options for outsourcing this important task. Finally, ensuring you have access to the bonding you need as a contractor even with bad credit means working diligently to keep your claims history minimal. 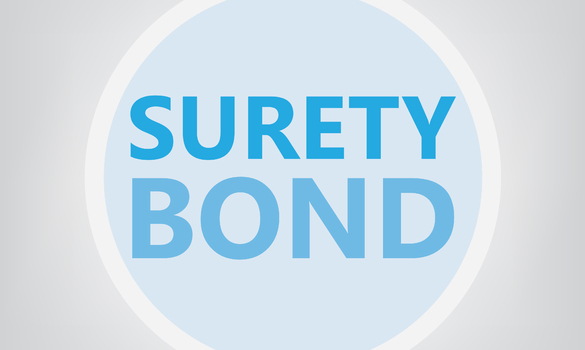 A surety bond is a form of credit extended to you, meant to protect your customers from fraudulent or incomplete work. If you have a track record of failing to work up to the standards you promised or leaving jobs unfinished, your ability to get a bond will be negatively impacted. Be sure to consider your capacity and skill to finish each project you contract to help keep your claims history light. Getting a surety bond with bad credit is not an impossible task. However, it takes an understanding of your current and past financial picture, as well as a relationship with the right surety agency. Independent contractors also need to put in place the systems necessary to keep business financial organized and steer clear of claims against bonds. These steps allow contractors to get the bonding they need to work legally on the projects they want in their business.